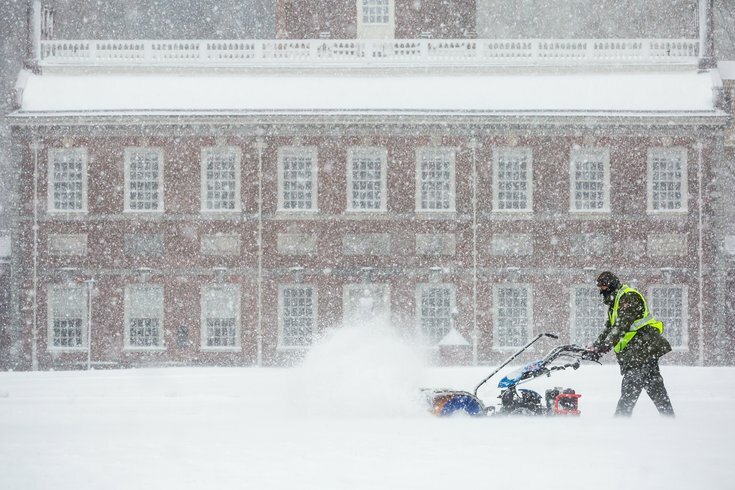 A laborer with the National Park Service clears a walkway on Independence Mall in Old City on Thursday, Feb. 9, 2017. The first snowstorm of the season is moving out to sea, and whether you saw as much snow as you expected depended on where you were looking. 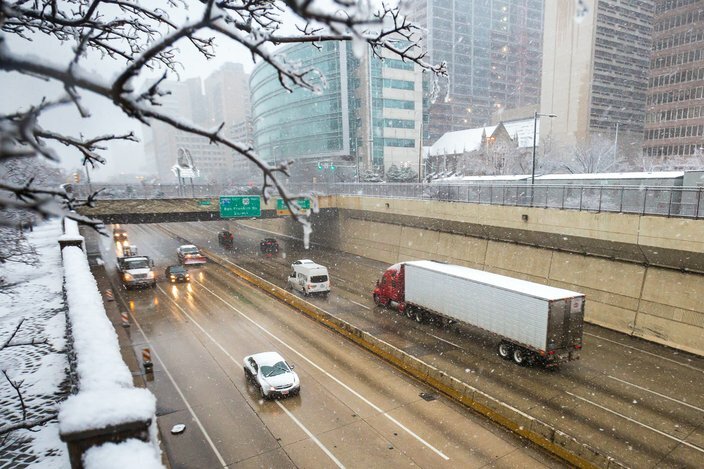 A Winter Storm Warning remains in effect for the region until 1 p.m. Thursday, but the flakes have stopped in Center City, Eastern Montgomery and points west. At 10:15 a.m. snow was still falling in Atco, but unlikely to last much longer. 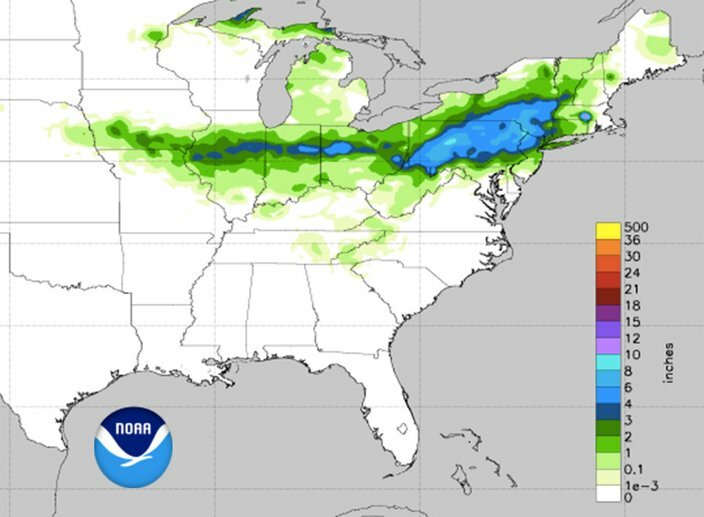 In the Philadelphia region, snow accumulations were to the middle or below of the 5-to-7-inch range initially expected. In Chesterbrook, Chester County, and Maple Glen, Montgomery County, four-and-a-half inches of snow fell. Further south and east, the amounts were less. In West Philadelphia, about 2.8 inches accumulated. 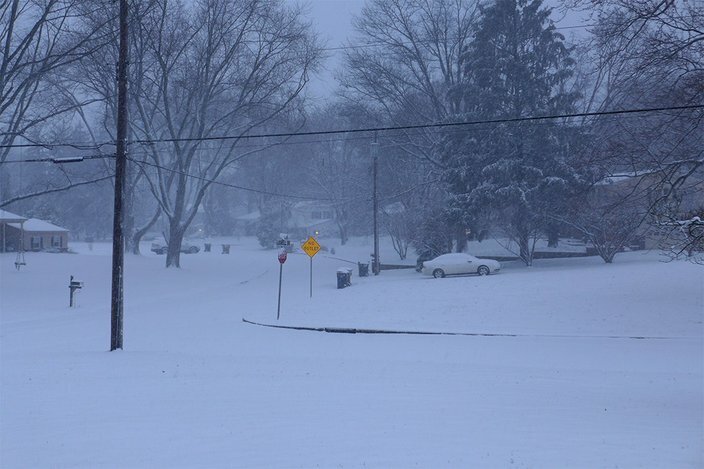 In the Lehigh Valley, seven inches of snow fell. What snow there was clinged to trees and power lines, but very few power outages were reported. Through Thursday, winds out of the north will increase in the 10-25 mph range, with gusts up to 40 mph along the coast. Some flooding has been reported at the Jersey Shore as well. By late morning, blue skies and brilliant sunshine began to appear in skies from west to east. Most schools and colleges across the region have canceled classes for the day, including all Philadelphia public and archdiocesan schools. Philadelphia city government offices are open Thursday, but government offices in Camden are closed. Mayor Jim Kenney is scheduled to provide an update on storm management efforts in the city at noon. For a period this morning, in some places, heavy snow, poor visibility and falling temperatures made travel difficult, especially during the early morning rush. Roads could get icy in time for the afternoon rush hour, as temperatures will drop into the teens Thursday night, freezing slushy and untreated wet surfaces. In Upper Dublin, Montgomery County, snow had covered trees, lawns and streets with more than an inch of snow by 7:30 a.m.
A snow emergency has been lifted in Philadelphia and the parking authority has ceased discounted parking in city garages. Plows are clearing the runways at Philadelphia International Airport, where the vast majority of flights were canceled this morning. The airport is advising travelers to check with their airlines. SEPTA experienced many delays, citing slippery streets in some areas, equipment problems and manpower shortages., and PATCO is operating on a special schedule until 2 p.m. NJ Transit is cross honoring system-wide due to the weather, and rail service could experience up to 15-minute delays. Motorists found the going tough in some places, including Ridge and Manayunk avenues in Roxborough, where slippery roads stalled a SEPTA bus and tangled traffic and suspended Route 3 bus service. Accidents with lane restrictions were reported early Thursday morning on I-95 in Ridley Park, Delaware County, and on Route 202 in Lower Gwynedd, Montgomery County, according to PennDOT. During the peak of the storm, a 45-mph speed restriction was in place on I-95, I-76, I-676, I-276, I-476 and the New Jersey Turnpike. Speed limits are back to normal. A 25-mph restriction was also in effect on the Ben Franklin, Walt Whitman, Betsy Ross and Delaware Memorial bridges. I-676 in Center City was wet but clear for motorists at 8 a.m. Thursday. There was a 45-mph speed restriction in effect. For a while Thursday morning, the wind and snow accumulation impacted the plowing and salting operation in Camden County, according to spokesman Dan Keashen. "But for the most part it looks like drivers have headed the warnings and are staying off the roads," he said. "That is what we want to be successful – drivers off the roads so our crews can work." Next up: A light wintry mix is possible from Friday night into Saturday with mainly rain from Saturday night into Sunday, forecasters said. Thursday: Snow, mainly before noon. The snow could be heavy at times. Some thunder is also possible. High near 32. Breezy, with a northwest wind 16 to 23 mph. Chance of precipitation is 100 percent. New snow accumulation of 3 to 5 inches possible. Thursday night: Scattered snow showers before 9 p.m. Partly cloudy, with a low around 17. West wind 13 to 17 mph, with gusts as high as 29 mph. Chance of precipitation is 30 percent. Little or no snow accumulation expected. Saturday: Mostly cloudy, with a high near 46. Saturday night: A chance of rain. Mostly cloudy, with a low around 39. Chance of precipitation is 40 percent. Sunday: A chance of rain. Mostly cloudy, with a high near 53. Chance of precipitation is 40 percent. Sunday night: A chance of rain. Mostly cloudy, with a low around 38. Chance of precipitation is 30 percent. Thursday: Rain and snow before 2 p.m., then a chance of rain between 2 and 4 p.m., then a chance of snow after 4 p.m. Some thunder is also possible. High near 41. Windy, with a northwest wind 28 to 32 mph, with gusts as high as 45 mph. Chance of precipitation is 100 percent. New snow accumulation of 1 to 2 inches possible. Thursday night: Scattered snow showers, mainly before 9 p.m. Mostly cloudy, then gradually becoming mostly clear, with a low around 22. Blustery, with a northwest wind 21 to 24 mph, with gusts as high as 38 mph. Chance of precipitation is 30 percent. New snow accumulation of less than a half inch possible. Sunday: A chance of rain. Mostly cloudy, with a high near 51. Chance of precipitation is 40 percent. Monday: Mostly sunny, with a high near 49. Breezy.